Savvy investors seek the most return for the least amount of effort. Therein lies the appeal of triple-net properties, which offer the chance to work with major commercial tenants while at the same time handing off some of the biggest responsibilities any property owner will face. Triple-net may align with your goals if you’re seeking a quirky, little-known investment type that is better known for reaping rewards than requiring repairs. If this resonates, read on to find out if this is the right asset class for you. Triple-net properties hold the tenant or lessee responsible for costs on building insurance, maintenance, and real estate taxes (the three “nets”) in addition to all other typical fees like rent and utilities. Long-term leases are the norm here, often running between one and two decades in length. During the great majority of this time, investors can typically sit back and accumulate profits. The key to a successful triple-net investment lies in two elements: smart lease structure and finding a reliably profitable tenant. Given that triple-net mandates that the tenant shoulders the cost of maintaining the property, this structure presents a relatively low-risk and profitable investment opportunity. Investors who don’t want to bother with property management while preserving capital and enjoying an assured income stream often opt for triple-net opportunities. Additionally, investors seeking to replace a 1031 Exchange property may find these deals attractive as well given the relative lack of involvement and regular rent payments. The tax benefits are particularly appealing if you, as the investor, come bearing significant assets such as a business or house along with the intent to sell these for a major gain. Investors of this type are often able to avoid capital gains taxes by using triple-net leases in a 1031 Exchange. Moreover, triple-net investors are able to use depreciation as a means of lowering their property taxes. Items that can be depreciated include roads, shrubbery, office machinery, appliances, and additions or improvements such as a new roof. Which Operators and Tenants Opt for Triple Net? While you will find office and industrial operators amongst the clutch of triple-net tenants out there, the majority of those who choose this lease structure manage retail properties such as convenience stores, fast-food restaurants, big-box stores, grocery stores, and gas stations. Additionally, government entities and agencies have also proven to be good candidates for triple-net leases given their longevity and consistency. Money-conscious tenants may also choose a triple-net structure since rents tend to be lower. Moreover, depending on your geographic area, triple-net leases may be the norm for commercial properties. Triple-net leases are popular among the multi-tenant industrial and retail property sets, users whose expenses can vary greatly. Such a lease structure is also beneficial to the landlord as the costs are passed along to the tenant, who then has the incentive to keep costs low since they are footing the bill. Business operators may find a stronger incentive to lease rather than buy a given property when seeking to develop a triple-net franchise given that build-to-suit is gaining favor. In such a scenario, once the lease is signed, the property owner builds, for example, a Bank of America. Then the business operator can focus on his core strengths—in this case, operating a neighborhood bank branch. Because it’s triple net, the business operator maintains the building while paying insurance and property taxes. If everything’s going according to plan, they pay their lease and can still take home their business profit. So everybody’s happy. Investors find plenty of value in triple-net leases given that they can offload responsibility for insurance, maintenance, and taxes while pulling in a steady stream of consistent profit on a long-term lease. Moreover, these leases are typically inked with quality tenants and provide strong tax benefits. For their part, tenants appreciate lower rents in exchange for taking on the responsibility of management duties. Highest-rated tenants tend to encounter a 6 percent cap rate, which goes up to an estimated 8.5 to 9 percent for less creditworthy parties. Finally, operators find their own value proposition in the fact that they can sell their property to an investor but remain in the business as a long-term triple-net tenant – a tactic known as a sale-leaseback. By doing this, the operator gets a return on an asset that was previously illiquid. Why might investors sock their money into an existing triple-net deal rather than just buying and/or developing such a property themselves? Simply put, they don’t have the capital; a Church’s Chicken in a second-tier market can easily go for $2.2 million. Additionally, while triple-net maintenance is minimal relative to other property types, it’s still too much for some prospective investors. As with all properties, the owner is ultimately on the hook for tax reporting and monitoring building condition—and if the tenant is unable to make rent, the owner is left holding the bag. How Can Triple-Net Properties Integrate into a Diversified Portfolio? RealtyShares has underwritten more than 10 triple-net (NNN) loans. These loans are available only to creditworthy franchisees operating stable nationwide franchises such as Taco John’s, Church’s Chicken, Checkers, and Dog Haus. Generally speaking, Triple-net opportunities are comparatively stable investments. The opportunities RealtyShares has underwritten have had solid return objectives with lower risk to investors, as opposed to commercial equity deals which have higher return objectives with higher risk potential. To date, we have had no defaults on our triple net deals. Triple-net investments may be a boon to your bottom line for two reasons. First, stability is tantamount to sustainability. Triple-net properties last longer because these business – such as coffee shops and fast food – are not only impermeable to e-commerce competition but are also more recession-resistant. Second, integrating triple-net properties into your portfolio helps you further diversify, which is essential to avoiding market turbulence. 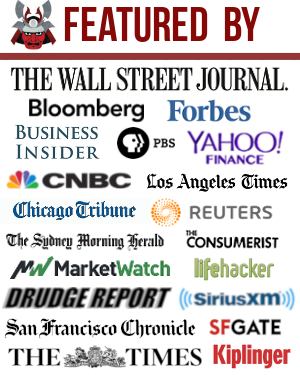 How Can Individual Accredited Investors Take Advantage of These Deals? Buy-and-hold is the heart of triple-net investing, and its principal value lies in tenants rather than features. As an individual investor, one is well advised to consider a tenant’s financial profile when calculating its potential. Favorites among this set include blue-chip tenants including major chain franchisees and national credit tenants, which means a tenant given an investment-grade rating for its financial strength and size. Such ratings signal to property owners that tenants can withstand a variety of economies, including turbulent ones. Can You Benefit from Triple-Net Properties? When RealtyShares users opt to invest in a triple-net property, they can expect to enjoy a predictable flow of reliable returns given that said returns are funded by tenants’ rent payments. However, investors are well advised to remember that purchasing at a lower cap rate – particularly if rental increases are either low or nonexistent – will probably not bring high average returns. This is especially true when one considers inflation. Other factors affecting triple-net returns include tax obligations and miscellaneous property-related expenses. That said, if you’re seeking tax benefits plus monthly income without the need for a large time investment, this asset class may be right up your alley. In taking an armchair approach to ownership, you can enjoy a stable ROI minus the hassle of property management. With real estate investing in general, think in terms of market cycles. During the initial days of a recovery, concentrate on development; as that recovery becomes more grounded, shift your attention to balance between high-yield core properties, light-value add properties, repositioning/reconfiguring properties, and entitlement/development properties. Ease off the latter once structural vacancy begins to rise nationwide. * Location – if you lose the tenant, how easy would it be to replace him? * Is the tenant a franchisee or a national chain? * If a franchisee, how experienced and how many other assets does it have? * How much time is remaining on the lease? The more time remaining, the more valuable the property usually. * How has the location been performing financially (assuming it’s been around a few years)? * What guaranteed rent increases are built into the lease? * Where are we in the interest rate cycle? High interest rates tend to weigh on price in the short run. Real estate is a key component of a diversified portfolio. Real estate crowdsourcing allows you to be more flexible in your real estate investments by investing beyond just where you live for the best returns with less capital commitment. For example, cap rates are around 3% in San Francisco and New York City, but over 10% in the Midwest if you’re looking for strictly investing income returns. Take a look at Fundrise if you are a non-accredited investor or RealtyMogul if you are an accredited investor. They are the two leading real estate marketplaces since their founding in 2012. It’s free to sign up and look around for attractive commercial real estate investments. Hi, I’ve been analyzing many NNN properties and one thing that I noticed is that the price of the property it’s most of the times not the “real one” it’s just the result of the NOI and Cap rate (income value). The problem is that many times NNN properties are being sold when they have 5-10 years remaining and if you don’t have a renewal you may end up with a property that without the NNN contract has lost most of its value. One good example is property “A” that was offered by 1.7 Million, but according to an Appraisal it worthen 1 Million. After the NNN finish. Perhaps its value will be 1 Million even though you paid 1.7 Million and lost 700.000 $us of value within 7 years, without considering of course the money that came into your pocket but just talking about the value of the property. Are you still getting cash from your Realtyshares Investments? Two of mine have paid but the company said they did a major upgrade and can’t return the cash to me. It has been 23 days now. Great article, thanks Sam/Bill. I currently have a family member looking into the prospect of 3N properties through a recent HELOC on his primary home. I like the mentality that substantially more weight is placed on the creditworthiness of the tenant and the resiliency of their business model in downtrodden times. While this doesn’t differ greatly from the principles of SFH and multi-family investing, there is something to be said of the inherent upside of less time spent on management. I agree that convenient stores and “fast” food establishments are not easily replaced, our culture is programmed for instant gratification and speedy, generic reliance. When I step in to a Subway or 7-11 across the country, I know what I will get! Slow and steady returns remain attractive to me. Sam, I’m a little confused. Why do I have to pick one or the other? The RS type setup is NOT the same as being an actual owner then. What I mean is, if I actually owned the property (in my example above if I put up the whole 10M and didn’t go through RS), I would share in both the appreciation and the monthly return on investment. Right? Am I missing something? Note, I’m not trying to pick on RS or argue about any of this. I’m simply trying to understand the difference between the two (own direct or own through RS or similar). Thanks. Not sure what to say. When you are a minority owner/investor, as in the case with real estate crowdfunding, you invest based on the objectives of the sponsor. If you don’t like the terms, you don’t invest. The returns from the investment correspond to the percentage ownership you have in the project. If you have $10 million, and own the whole thing, you can do whatever you want and sell whenever you want or keep collecting rents. When you do research on a specific real estate crowdfunding investment, is the offering not clear what the objectives are? If not, this could be a good clue as to simplify the wording so that more people can understand and invest for their business to grow. I have a RealityShares question related to this NNN type investment. With a RS investment, who gets the benefit long term of the value of the property going up? Am I as the investor only invested in the CAP rate/return or do I also get ownership in the property? I’ll keep numbers straightforward, so let’s say 10 investors put 1,000,000 each (10M total), 5% cap, and 20 years. As an investor, I would get back 50,000/year based on cap rate. If the property is worth 30M (started at 10M) in 20 years, do the investors get to share in the 20M land/property appreciation? If yes, what is the breakdown based on my numbers? Thanks! Sure, Depends on if you are in equity investor or a debt investor. If I’m understanding the Triple Net model correctly, it’s very similar to what is the standard model for Commercial Leases in the U.K.
My background is as a commercial property lawyer in the U.K. working mostly for hotels and restaurant chains. Their landlords would usually be Pension Funds, as they need to park their money somewhere safe but with a good return. As mentioned in the article, quality blue chip tenants are key. The “Amazonification” factor has proved significant this side of the pond. Similarly, malls have also faced the problem that their anchor tenants (the prize tenant that draws all the other tenants in) were traditionally Cinena complexes – again, these have taken a big hit as cinemas are not performing like they used to. One other point – in the U.K. the commercial tenant has the legal right to a lease renewal at the end of the term (providing certain conditions are met) – is that also the case here? I’m a newbie to real estate and came across your site just weeks ago, and was intrigued by this article. I saw an opportunity for a nationally recognized fast food chain in a “heartland” state, new construction, 10 year lease, with 5-7% increases on 5-year extensions. This property is anchored by another nationally recognized department store off a highway. It says 6% cap. But I don’t really know how this all works, and what type of income I am to expect (both cashflow and long term equity). If it’s at 6-cap, that means that the annual rent is 6% of the purchase price. Put another way, the purchase price is the rent divided by 0.06, or 16.7x the rent. Because all expenses are paid by the tenant, your cash flow is the rent minus your mortgage payment, assuming you finance the purchase. Your equity is the property value minus whatever debt you put on the property. Even with a “nationally recognized fast food chain” all of the considerations I noted in my earlier comment are a factor. It means little for it to be a nationally recognized chain if it’s run by a franchisee (i.e., the national chain is not the tenant) and it’s in a poorly performing location. Also a 10-year lease is a pretty short term, and the rent increases are quite small. Inflation is 2-3% a year so ideally the lease would at least have 10-15% increases every 5 years. Thanks. It is indeed a very interesting topic which I had only briefly looked at in the past. But I hesitated and never really took the plunge because I got the impression that these types of lease contracts seemed overly complicated and unlikely to cover all situations. For example do you have a say in the quality of the repairs ? The tenant may just want to patch things up for the shorter term and set you up for larger problems in the future. What is maintenance, what is remodeling, and do you really agree as an owner to this remodeling. Is it really an upgrade or does it devalue or degrade your building in the long term? It seemed that navigating through these nuances would make the endeavor a not as hands off as I was hoping. These triple net leases may now be worth another look, now that I feel more experienced. So thanks for the article. Sam maybe you can develop “TNaaS” with your Silicon Valley contacts, as the real money I think is in packaging up these deals and selling them to the larger public audience. – Location – if you lose the tenant, how easy would it be to replace him? – Is the tenant a franchisee or a national chain? – If a franchisee, how experienced and how many other assets does it have? – How much time is remaining on the lease? – How has the location been performing financially (assuming it’s been around a few years)? – What guaranteed rent increases are built into the lease? After all that, it can also be important to sell at the right time/price. For example, they tend to be more valuable with more time left on a lease. Also, the value of the properties (as measured by the cap rates) will tend to fluctuate inversely to interest rates. My personal limited experience with triple nets has been great. I’m part of owner of a fast food triple net that was purchased in the depths of the recession at around an 8-cap. Today we could sell it at about a 4.5-cap. After factoring in about 25% in rent increases since it was first purchased nearly a decade ago, we’d sell it for well over double what was paid initially. We’re exploring options for doing a 1031-exchange (likely into another triple net; alternatively, a non-triple-net commercial property). With 60% loan-to-value and geo-arbitraging into a lower-cost area (think Sam’s “heartland” real estate recommendation) with higher cap rates, we expect to be able to exchange into something worth around 4 times the amount we initially paid for the triple net, and expect to net about 2.5x the annual cash flow we’re getting today with the current property. Great points! I’ll include them in the post. Congrats on riding a huge win. Geo arbitraging real estate as awesome as specially when you don’t have to personally move yourself. I am currently 1031 from my apartment buildings into light industrial warehouses in Long Beach, CA to lease to medical marijuana business’s on NNN terms. Tenants will pay 2.50-3.00 sqft NNN. Depending on intended use(cultivation/manufacturing/distribution/testing lab) tenants will typically upgrade the electrical, install new hvac, new security system, ADA bathroom, etc. The catch is you cant have conventional financing(you need either cash,hard $ loan, or seller carry back) and building needs to be away from sensitive uses(schools,parks,day care). Just thought I would share what I consider a new angle on real estate NNN investments. How much is the rent premium for medical marijuana? Typical warehouse will lease .75-1.25 per sqft NNN. Medical Marijuana business will pay 2.50-3.00 sqft NNN. Great post. Never heard of this before. Love this website and this post. I currently have a small amount invested with Rich Uncles in a Triple Net lease fund. I was drawn to this investment due to the fact it is open to unaccredited investors like myself. It currently pays a 7% monthly dividend. I have been contemplating increasing my investment with them. Does anybody have any experience or feedback with Rich Uncles? Just when I think I’ve heard of every type of investment I learn about something new. This is the first time I’ve heard of triple net properties. Fascinating! I like your dream idea of the gas station and In-N-Out burger in Silicon Valley ha! Very informative – thanks for sharing. Triple-Net properties do seem appealing. Aside from potential tenant credit concerns (which can apply to any form of RE investing or other asset types), how does the owner’s involvement during the issuing of a new or expiring lease compare to non-NNN properties? On your question, I’m not currently invested in any NNN properties nor currently own any physical RE. All our real estate exposure (about 25% of our current net worth) is via REITs and another crowdsouce RE paltform. Also, not an acredited investor just yet. Great post and it hits close to home because someone in my family just did a 1031 into a 3x net. I was hoping you could add more information on historical maintenance issues on such properties and what type of liquidity buffer one should maintain in anticipation of major repairs. Averages or percentages on a per square foot basis would be most ideal for apples to apples comparison. One of the primary points of a triple net is that the tenant is responsible for all of the maintenance. As long as your tenant doesn’t neglect his obligation or go into default, there are no expenses as the landlord. If your tenant is not solid, then you’d better make sure you’ve got a buffer to pay your mortgage (assuming you have one) in case the tenant stops paying rent. Also, if you hold the property until the end of the lease, and the tenant leaves, you’ll have the double-whammy of not having rent coming in and likely having to front some money for tenant improvements when you do find a new one. So, it all comes down to mitigating your risk by buying a property with a high-quality and financially stable tenant (as was detailed in the post) and making sure you have a plan for lease-end (or sell prior to that point). Jonathan, even if you hold the property until the end of the tenant’s lease, why would you have to do any remodeling work since the future tenant will do such stuff to customize the store to their brand? I’m always amazed when restaurants move into a space on a busy San Francisco retail street and they spend huge money fixing up the store or tearing down a perfectly good space to customize for themselves. Everything is a negotiation. To attract quality tenants you may need concessions, whether in the form of rent credits or TI money or lower rent. Ideally you’ve got such a high-quality location that the original tenant never wants to leave and signs a new lease. Jonathan, thanks for clarifying. My assumption was that the tenant paid for everything within the space but the landlord of the triple net was responsible for Roof / Facade / Windows and any utilities attaching into the building. The best example that I equated in my head would be my CO-OP where i am responsible for all maintenance within my unit. But if a building pipe breaks or the person above me leaks into my unit the building (or the 3x net owner) would pay for the infrastructure to be fixed. I have a little invested in a Church’s Chicken. It is a construction loan and it seems to be doing very well so far. The holding period is just one year so it’s a great short term investment. I don’t know about longer term retails. The future seems uncertain there. Who goes to Circle K? I was intrigued by triple net property investing as my current goal is to get commercial real estate properties for long term to provide steady passive income. The biggest appeal of triple net was that they typically are very long term leases which would match with my retirement philosophy. 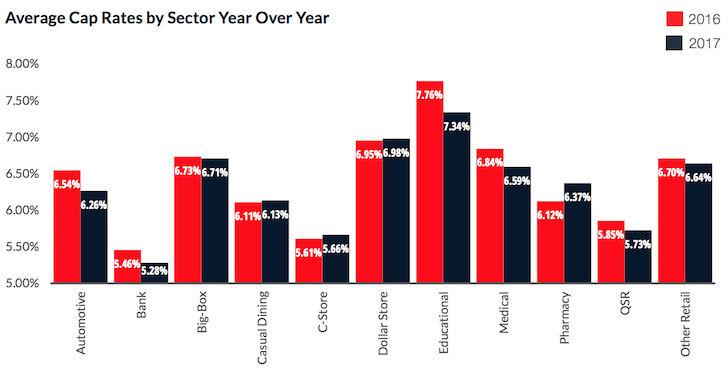 However the biggest concern (and why I haven’t taken the plunge) is how retail commercial properties are not as blue chip as they used to be. What I call the “amazonification” of retail is putting a lot of pressure on brick and mortar companies and a lot of big name former blue chippers have gone out of business (toys r us being one of the latest to fall for example). This concern for holding the bag if a renter fails is what’s holding me back. I totally understand your concern. Even when we go out shopping or to run errands, we pack a snack or drinks that we have at home so we don’t need to stop at a gas station or a 7-eleven to get something. There are times when our kid wants a very specific toy and because it’s not found act a store, we are forced to buy it online. When we reflect back on it we think that we should have done it in the first place. I don’t know where retail brick and mortar stores will be by the time I retire. I agree, which is why we I inputted the chart with various cap rates by sector and discuss fast food and convenience stores. I would love to have a tenant like McDonald’s or 7-Eleven sign a 10-year lease for a 6-7% cap rate as they pay for everything while I also likely see an appreciation in my property. I don’t see Amazon hurting fast food and convenience stores nearly as much as other businesses. Ah.. to own a property large enough to hold a Chevron + a McDonald’s + a 7-Eleven right off the busiest exit in Silicon Valley would be sweet. I’ve wondered the same thing. It seems like a good option for a tired landlord looking to do a 1031 or as a small part of a portfolio. However, the investor basically takes on the credit risk of the tenant, so I wouldn’t want to have too large of an investment in one tenant. I’ve thought it would be an interesting investment to do a triple net on the outskirts of an area that’s growing. Then, fast forward 20 years and see what that area has become. Suprisingly, the cap rate of a triple net chain, like Wendy’s, is nearly the same in both Detroit and Seattle.